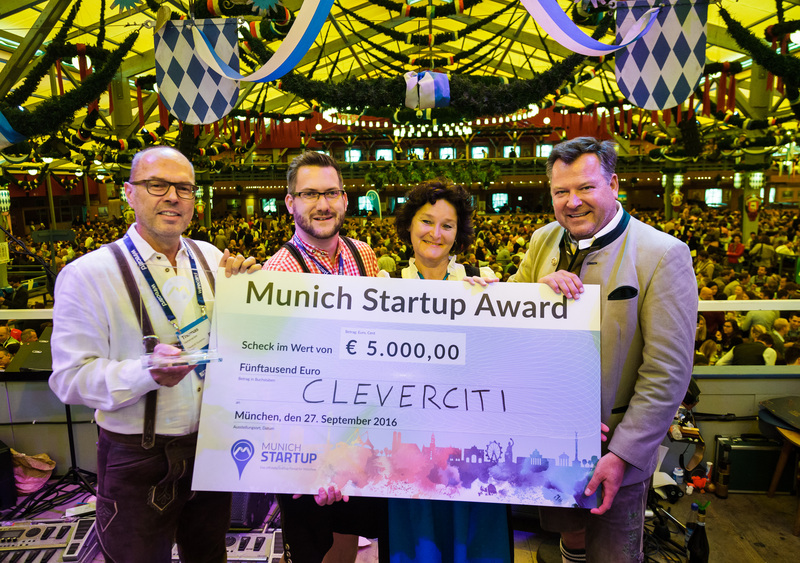 The Munich startup Cleverciti Systems offers cities and parking lot operators a smart and efficient solution for parking lot management using their sensor technology. 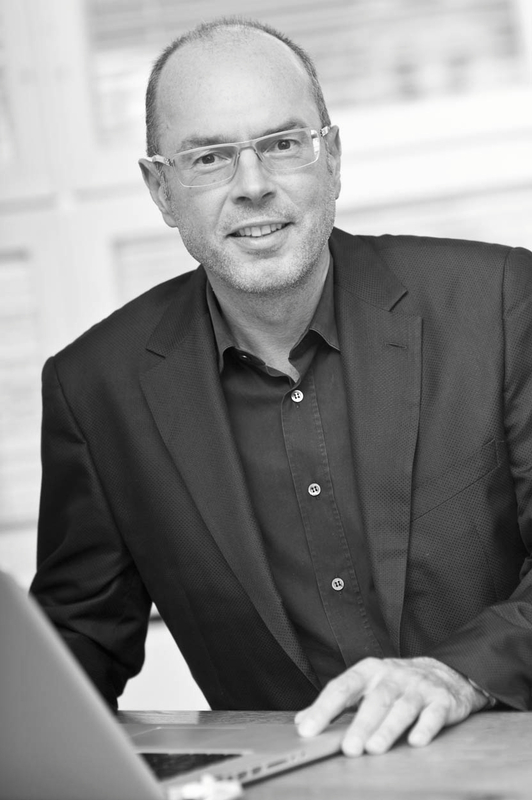 Thomas Hohenacker, founder and CEO of Cleverciti. said Thomas Hohenacker, founder and CEO of Cleverciti Systems GmbH. Cleverciti has already won several awards with their idea, including the 2016 Munich Startup Award and the Special Innovation Award of the 2016 Technology Fast 50 Award. The company is also the 2017 German Accelerator winner. Drivers receive data from an app or a parking guidance system about where parking spots are available or, as may be the case, currently unavailable. This makes it possible to reduce the negative impact of search traffic, which makes up for roughly 30% of the total traffic in downtown areas. According to Cleverciti, the “average” driver spends three years of their life looking for a parking spot. As Hohenacker found himself “blindly” looking for a parking spot and simply hoping for a lucky opening, he decided to found his smart data company. At the 2016 Munich Startup Awards ceremony at the Oktoberfest. Launched in 2012, Cleverciti’s sensor technology is mounted on lamp posts or buildings. Every second, the sensors scan parking spots along the street or in parking garages and send data about the occupancy status in real time to parking operators and drivers. 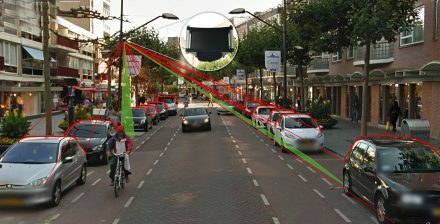 The sensors have a range of up to 400 meters and measure both the GPS position and the size of the available spot. The advantage? The size of the parking spot does not have to be plotted ahead of time, installation is complete within half an hour, and up to 300 parking spots can be covered. In contrast to in-ground sensors, construction sites do not pose a problem if streets have to be torn up. The sensor, mounted here on a lamp post, analyzes, scans and measures the parking spots. “For cities to be able to manage the valuable real estate known as parking, they also have to be able to monitor it. We offer the best solution with the furthest range for just that. We do not have any competitors at the moment when it comes to efficiency and reliability. 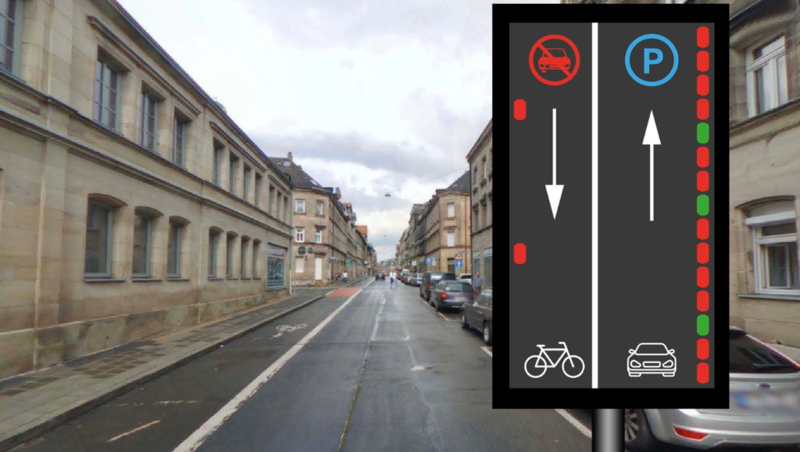 The company has already applied for a patent for their parking solution, and additional ideas are being developed for patent registration as well. 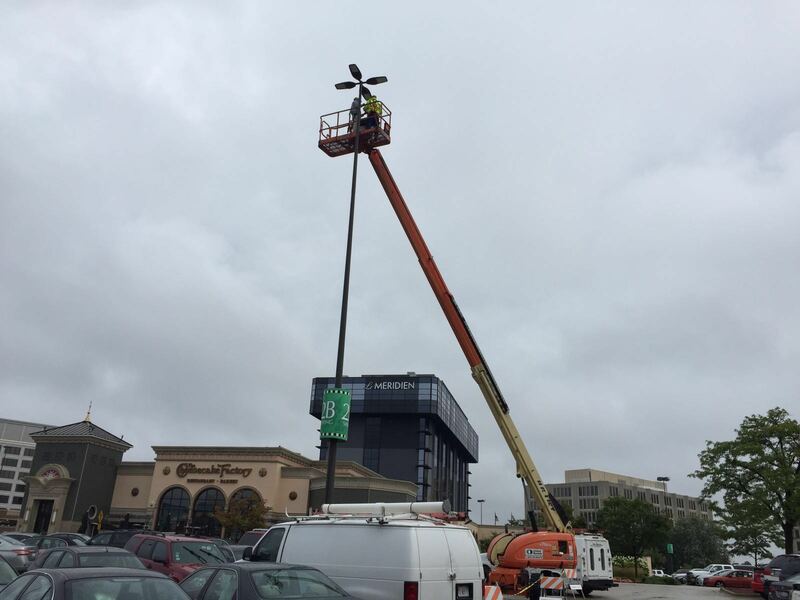 The sensors are installed quickly – here at the parking lot of a Chicago shopping mall. The IT startup concentrates on two target groups: town councils and private parking lot operators. Based on experience with town councils, the length of time necessary to make decisions can be a problem. In the corporate area, that time period is much shorter since decisions are ideally made by just one person. When considering the second group of customers, Cleverciti is particularly interested in airports and shopping malls. For one, they want to reduce CO2 emissions, and also want to offer their customers improved on-site service to avoid losing them to online retail. Challenge #1: Being accepted as a reliable partner. Fly your flag! It is generally helpful when negotiating to be extremely patient and always make yourself seen. For a startup, it is also a matter of demonstrating that you can be a reliable partner. “We went to a very large number of trade shows in the last one and a half years. That is because it is extremely important as a young company to fly your flag. Challenge #2: Smart parking around the world. With the right partners! The sensors also identify bike lanes. The strategy worked. The startup now has more than 15 systems installed worldwide: near Brisbane (Australia), in Vancouver (Canada), and soon in Kingston, Jamaica – not to mention in Germany in Bad Hersfeld. The company is also currently negotiating with the City of Munich. Quite an amount of new business is also in the pipeline. Requests are coming in from Taiwan, Japan and Singapore. The almost exotic diversity of the requests surprised the startup. Challenge #3: Getting even faster. Thanks to more capital! To make sure the Munich startup can pick up speed, Hohenacker is currently conducting intensive negotiations with VCs. The ultimate goal is to lead in the field of parking logistics – and to do so on a global scale. The Munich-based startup seems to be well on its way.